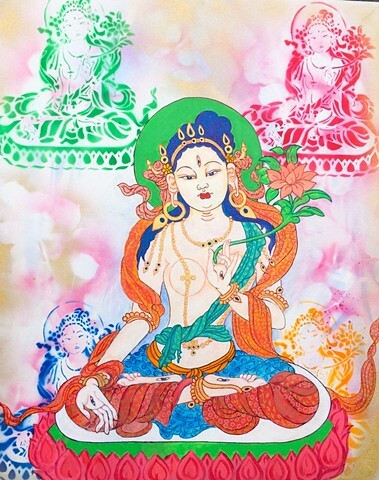 A sweet White Tara with hand-cut Tara stencils. Tara is the female Buddha and represents Wisdom and Compassion. She is also invoked for long life.